There is an unmistakable sense of poignancy in the passing of Kofi Annan, the first sub-Saharan African who helmed the United Nations, not the least because the world body founded in 1945 would seem to have lost its purpose 70 years after. And the principal benchmark must be its dithering in the storm-centres in recent years. It would scarcely be an exaggeration to aver that Annan personified the UN, not to forget that on occasion he had stumbled on the road that was paved with good intentions. To Kofi Annan does the world owe the revitalisation of the UN with human rights posited at the core of his mission. The cruel irony must have pained him no end as Libya and Syria, for example, have made a mockery of human rights. Thus it was that his overall contribution was recognised with the Nobel Peace prize in 2001. It was a rare moment of unanimity, therefore, that leaders from across the spectrum ~ from Tony Blair to Vladimir Putin ~ have recalled his charisma and diplomatic acumen. Blair, it needs to be underlined, was the UN chief’s adversary over the Iraq war. Annan had declared the Anglo-US invasion as illegal and described the UN’s failure to stop that conflict as his “darkest moment”. He had spearheaded the global fight against HIV/AIDS while in office. Post-retirement, he championed the millennium goals, riveted as he was to its targets ~ improvement of health and education worldwide. For all that, Annan’s legacy is not wholly unblemished. As head of peacekeeping operations before leading the UN, he was in charge when genocide roiled Rwanda and when thousands of Muslims were killed in the Srebrenica massacre in Bosnia. Hence his lament that the UN did not do more to stop these tragedies. “The painful memories influenced much of my thinking, and many of my actions, as Secretary-General,” he had once remarked. Acutely aware of the failures of the UN, he had made the scathing internal reports public. 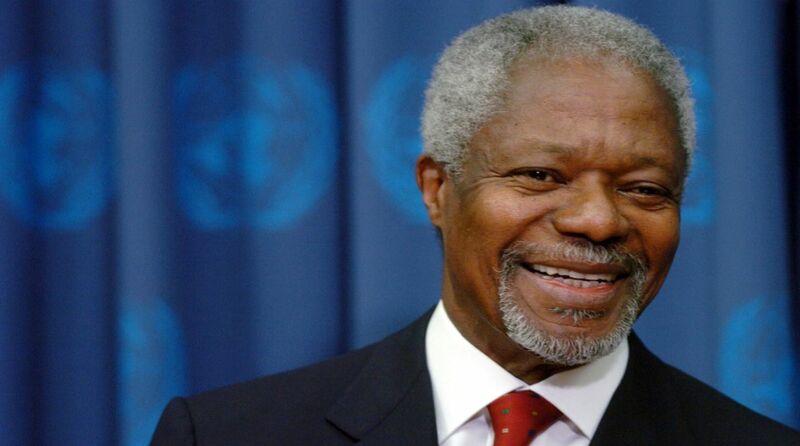 But after the Cold War, Annan fought successfully to renew the UN’s sense of purpose, and carve out its role as what has been called the “ moral compass for a new world”. Any assessment of the man and his times ought to be contextualised with the enormity of the crises that convulsed the world during his tenure ~ 9/11, the war in Iraq (2003), globalisation, and the forbidding challenge of Islamic militancy. Many leaders would have balked at the gathering storm. Kofi Annan didn’t as he set about, not always successfully, to redefine the United Nations.